I always hate to see you guys screwed on releases for seemingly no reason! Agh! I feel like I've been waiting for x2 to hit virtual console for-ever! I don't care if I have it on SNES, or X collection! 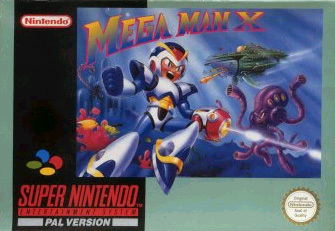 I want it on virtual console.. For no reason! I can't wait for USA version. I beat it but I want it anyway. Yeah I can't wait to get my hands on X2 either! I'm dying to play! I always loved X2 a ton! That's great news and all, but Capcom seriously lacks the skills and heart to make new MegaMan games which is one of the reason I lost my faith in them. Yes, I know already about it. I just forgot to mention Megaman X2 instead, lol. Anyway, I am waiting for Megaman X2 since Rockman X2 was out already. Servbots.EXE? They appear in other episodes?